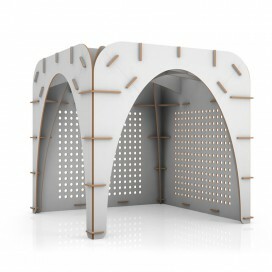 Cardboard modular stand made of self-supporting and self-extinguishing recycled honeycomb cardboard elements. 3x3x3m base module for endless configurations. Designed by Giancarlo Zema.